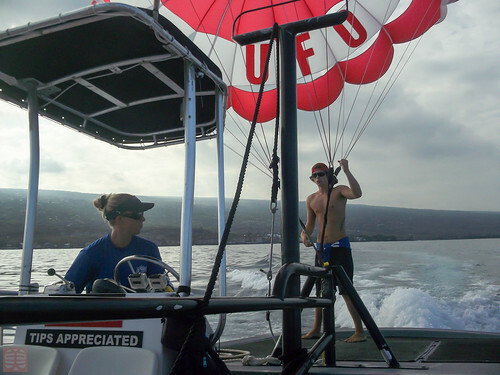 The plane ride took about 5.5 hours from San Francisco Airport to Kailua-Kona airport. So what do you do during the ride in the plane? 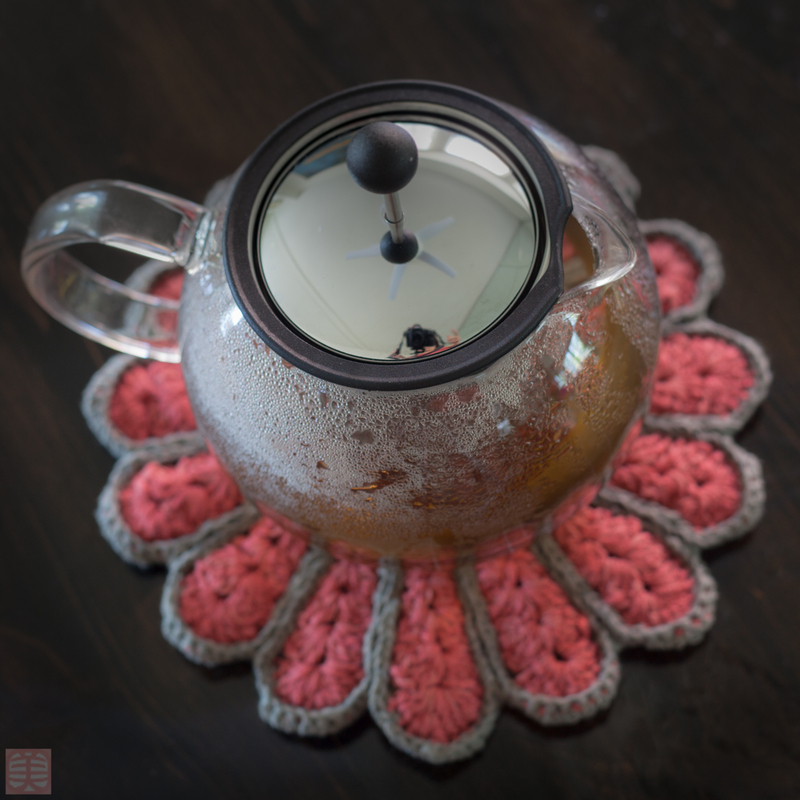 Ever since I have discovered the joy of knitting/crochet, I couldn’t think of any other things to do but this. This is the result from the flights. It’s a pot holder, about 7 inches diameter. 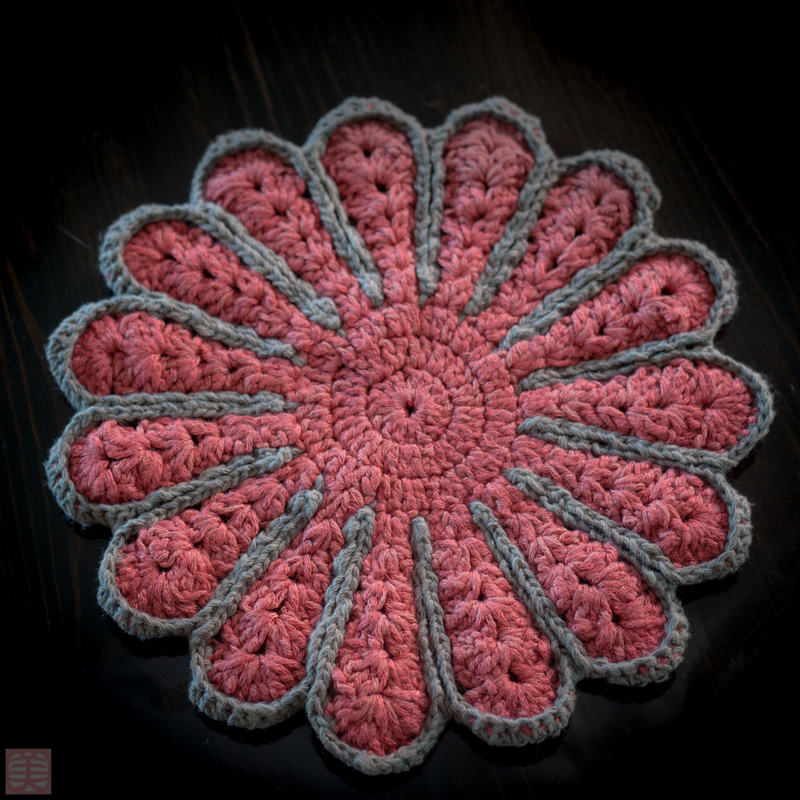 Crochet 2 flowers, then stitched together with a different color yarn. It’s a perfect mini project to work in a 5 hours plane rides. The pattern was from this book. *** Whew~, this is it, all about Hawaii 2013 trip. Thank you for reading the lengthy blog entries. 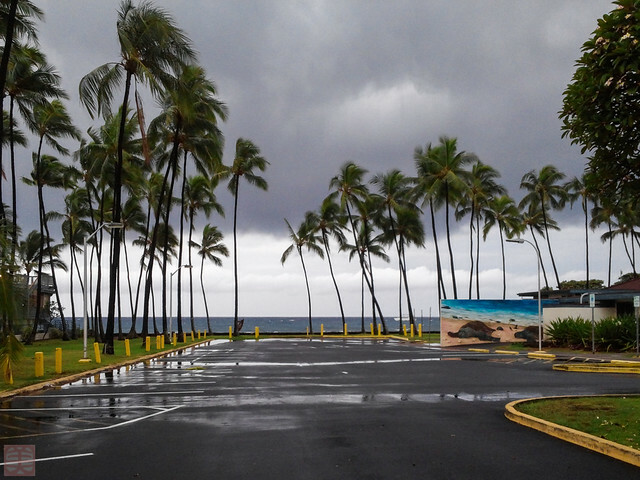 Hawaii trip 10: when… next? Our flight may be cancelled and we can stay here longer…!!! And this shot… I don’t know when I took this shot but it was when the heavy rain stopped. My LG cell phone’s camera feature is not bad at all. This is also a shot with my cell phone, LG. On the final day at night, I decided capturing a night sky from our condo patio. 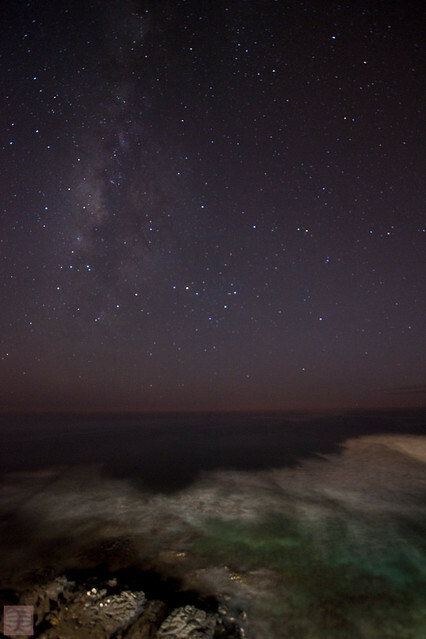 44 seconds of exposure with ISO 2000. This is the power of SLR. My LG phone can not capture this one. I could stay there another week. If I did, I would probably sitting by a window at the condo and reading a book. I had started reading James Patterson’s book, The ninth judgement found on the bookshelf at the condo a day before we left there. I was still at about 20 pages into the story. I wish I could finish reading it … but run out of time. Do I want to come back here again? Hawaii is a very special place. Yes, I do, but when? Let’s see how much I miss it in next summer. Hawaii trip 9: How fast does it go? Zipline… I guess it depends on how you pose yourself. Dah~ You can not make it stop, but you can accelerate the speed by hold yourself like a cannon ball. I tried an upside down position. You see, Morzart could play a piano while he was upside down. Why couldn’t I take pictures while I was upside down and ziplined down, right? Well…. it wasn’t so hard to positioning myself to be upside down although it was a bit scary at the beginning, but focusing any object while zippity moving fast was almost impossible. 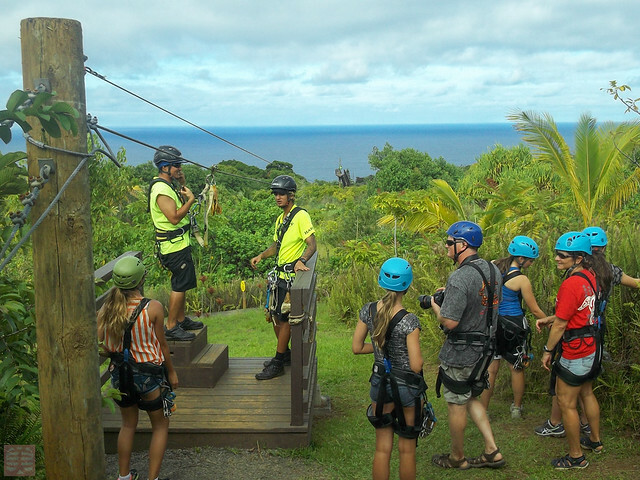 This is the highlight view and the line we liked most among seven ziplines. 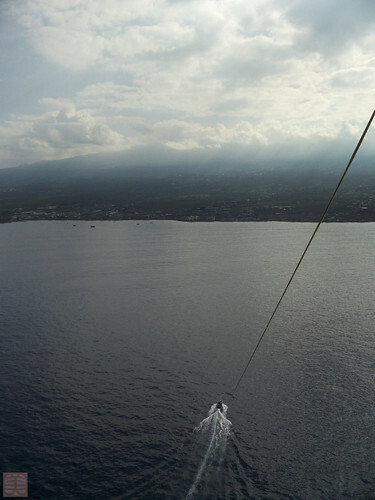 Most of zipline services are on Hilo side of island. 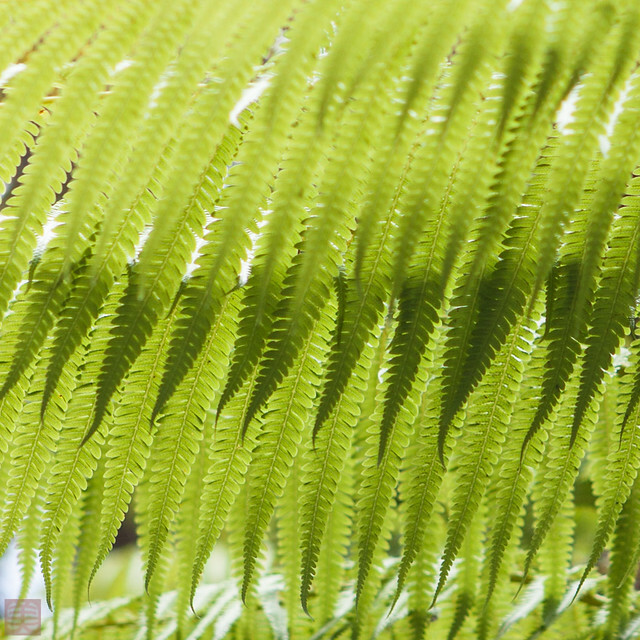 If I had a chance to come again, I want to explore Hilo side tropical forests. I enjoyed the thrill of the speed and heights, but I guess once is enough for me. Do you say I am getting old by saying that? During Zipline, I found this plant. 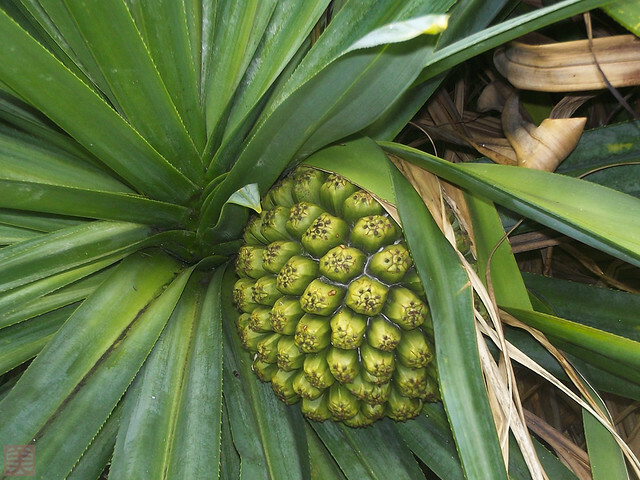 It’s not Pineapple and not eatable. 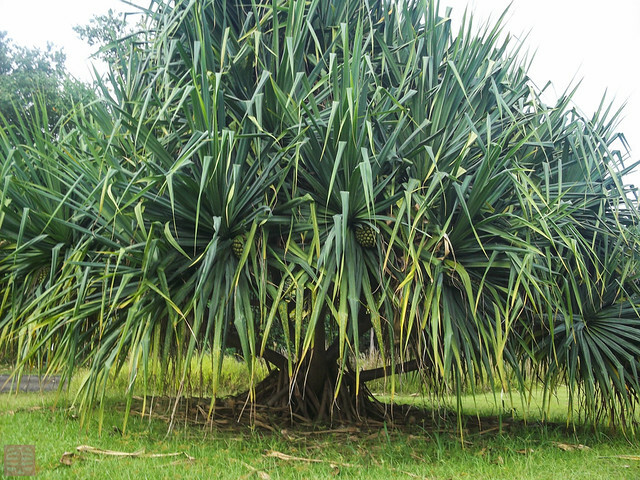 It’s called Pu hala plant. Hawaii trip 8: when do I want to give it up? 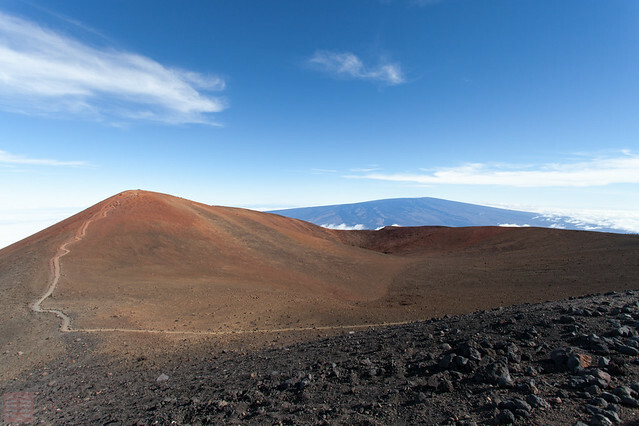 Standing 13,803 ft (4,207 m) above sea level, Mauna Kea is the tallest mountain in Hawaii. 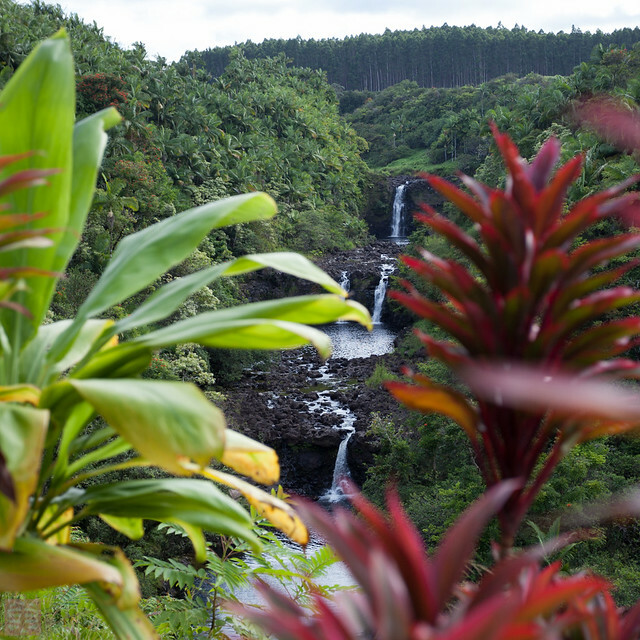 This is one of the main reasons we have chosen to visit big island over other islands. I can say that this is the highlight of my vacation at Hawaii. 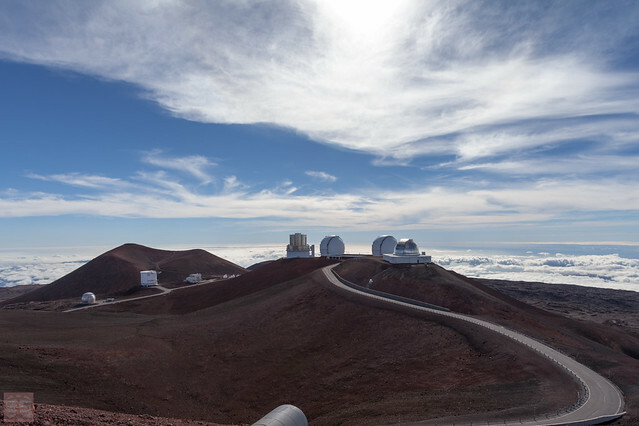 Agreement with Hawaiian people, it’s allowed to set up only up to 13 observatories at the summit. And they are one of the best in the world because of the location and some other reasons. You are allowed to go up there only by 4WD by yourself, or join a tour riding a 4WD van. We’ve decided renting a 4WD 4Runner. Went to Mauna Kea visitor center at 1pm, get an orientation and watched a movie about the Mauna Kea and observatory history. 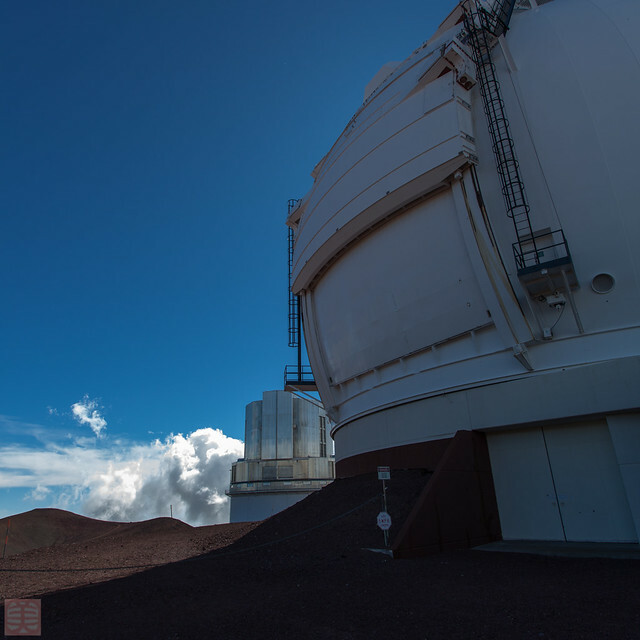 We’ve learned that the mountain itself is a sacred for Hawaiian, so there are many sensitive subjects to deal with for having observatories as well as visiting there. 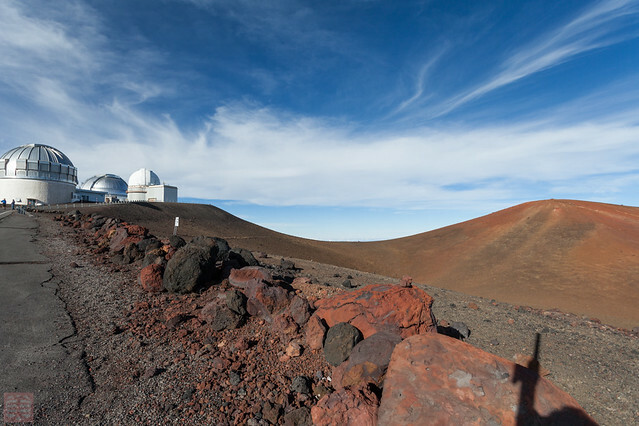 The image below shows that the true peak of Mauna Kea on the right, and observatories on the left. We are strongly discouraged to go on the path to get to the peak. It’s probably only 10 – 15 minutes away from where I took this picture, but we didn’t go there. We could go into one of observation room at Kecks observatory. 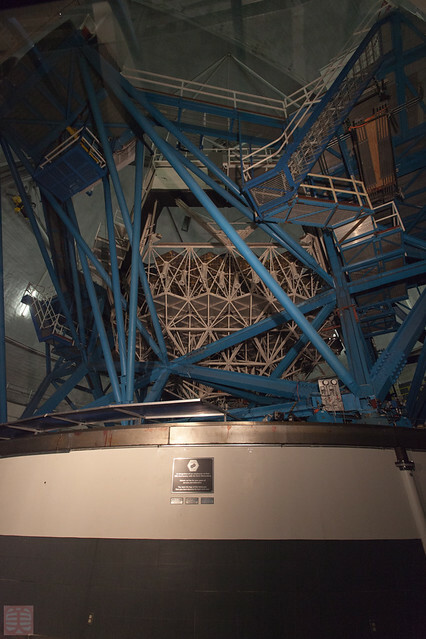 Each telescope is made with 36 hexagonal shaped millers, and the room temperature is controlled to match with the outer air temperature at night. This way, they won’t get any influence from the temperature changes. This is one of Gemini observatory. 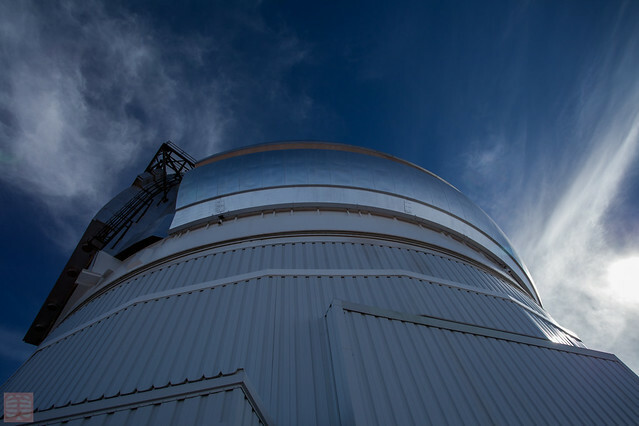 Another one is located at on the Cerro Tololo Inter-American Observatory (CTIO) campus near La Serena, Chile. I’ve heard many important piece of information, but all I remembered was that it cost $40,000 per night operation. It was made by seven countries joint project, but because of the outrageous cost of the operation each night, allowed observation hours are scheduled based on the amount of funding. With mighty last power, we hiked to nearby hill for the sunset. A super large shadow of the hill was on the haze colored like grenadine. We stayed there till after dark. Many astronomy fans brought large telescopes, and showed us stars. But again, my headache was still there. It was my limit. So we left and head back home. I remembered that I was told by my doctor; don’t wait so long without a treatment when I get an headache. I know, I know… I should had given it up much sooner, but I just couldn’t give it up because it’s the place I wanted to be….! Even with extreme headache, it was fantastic. I could see billions of jewel starts I’ve never seen before on the sky then. 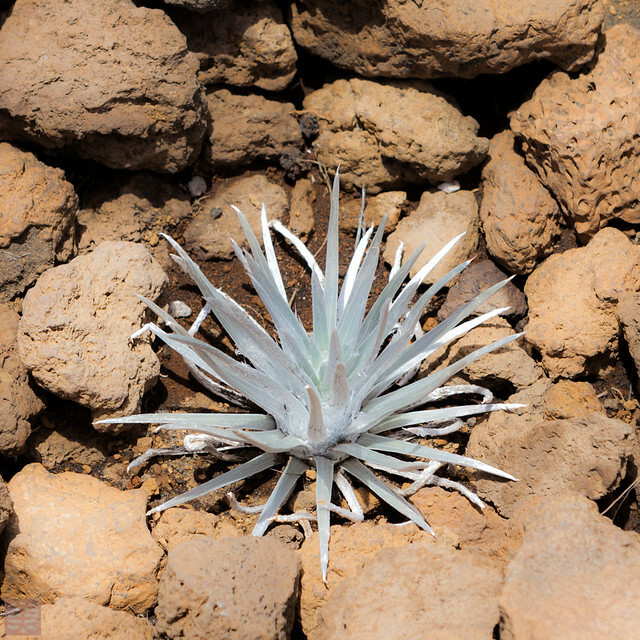 By the way, baby Mauna Kea silverswords were just planted there at visitor center. It’s only 2-3 inches tall, but it will grow as tall as my hight. I don’t know how long it will take for that, but I wished to come back there again to see the growth of silversword someday in the future. Hawaii trip 7: what could I have done with light? We went to Hawaii volcano National Park to see Kilauea volcano. 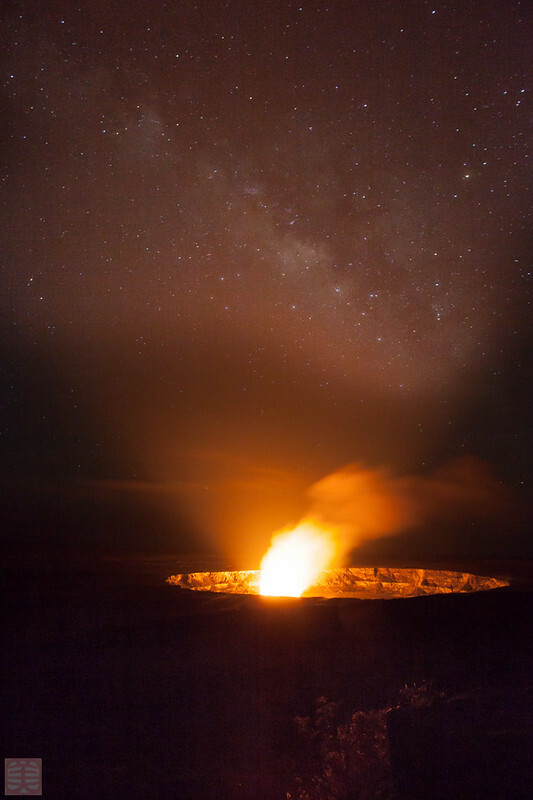 You can see white smoke coming out from the crater during the day, but you can see a red reflection on the smoke at night. It’s getting quite cold, but I tried several shots from different angles. 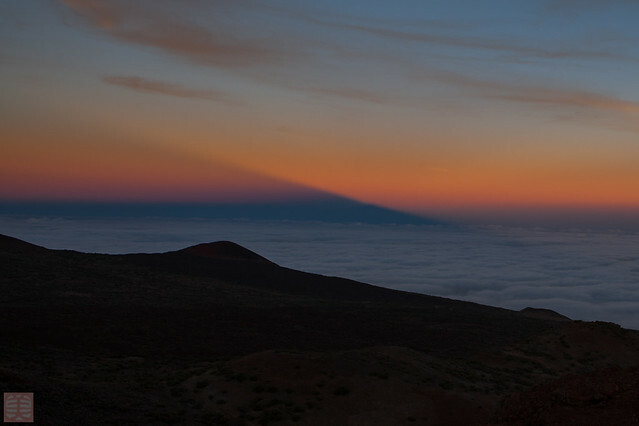 The challenge was that the volcano reflection was too bright compare to the rest of darkness. I wish we could be there a little earlier when it’s not so dark yet. I could manage the light better then. Instead, we enjoyed the dinner at Volcano house too much. In anycase, this is the best shot from the night including Milky-way. 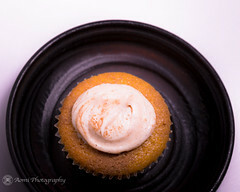 Here are a few from the site. Aren’t they lovely? Hawaii trip 6: how deep do I want to see? 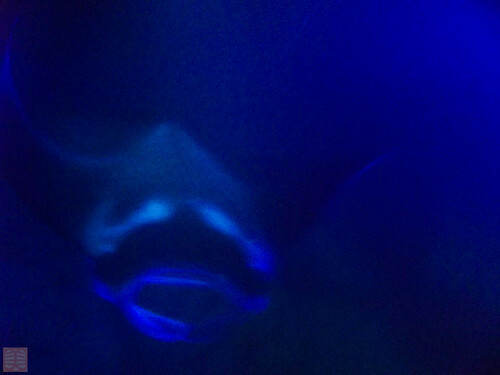 Thanks to my friend K for the suggestion of snorkeling with Manta Ray. It was indeed, one of the kind, became an unforgettable experience. 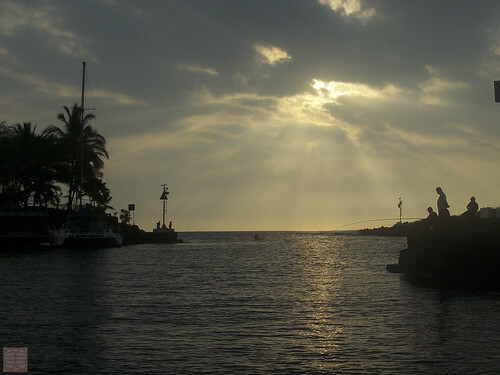 Meet at a dock around 6 pm, we set out to south from Kona. 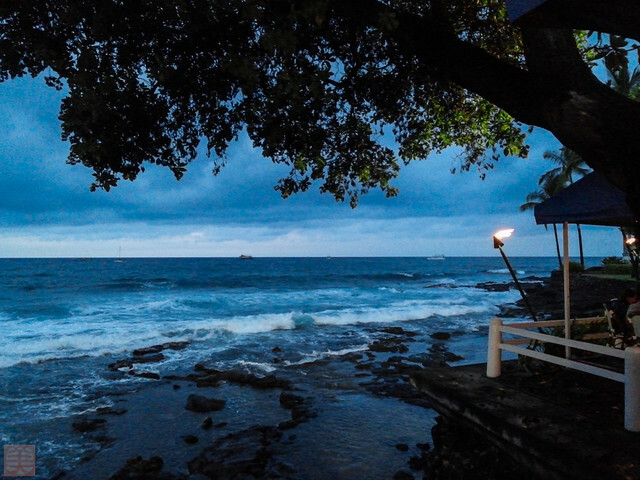 The sun is setting, we are almost ready for the night snorkeling. Wearing a wet suite, putting snorkeling gears, holding the under water camera, and here I go down into a dark rough water. It sounds so brave but it’s not that bad. It’s because there are floating things to hold on to. All I need is to keep my legs and feet up to the surface level. And wait for Manta Ray to come for their dinner. What they want to eat? Of course, it’s not us, but a lot of plankton. 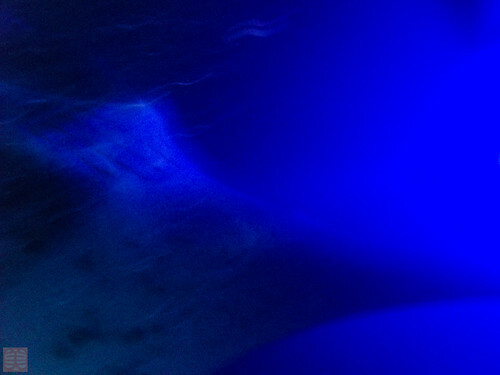 To attract plankton, they beamed lights into the water, then Manta ray came for it. This is my best shot. It’s huge, about 12 feet. It came suddenly and the mouth was a huge hollow open space, I was afraid of it coming at me. This is the result of his summersalt, upside down. You can see the gills more on this picture. 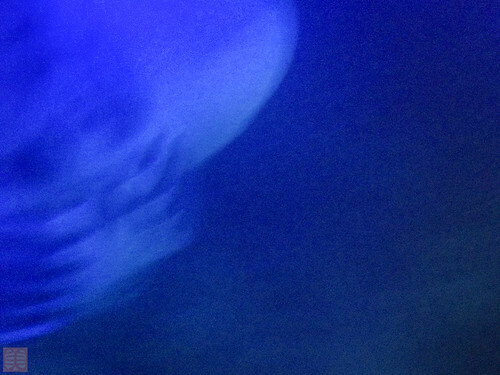 They swam so close to me that my camera couldn’t focus well. Or, at least, I thought they were so close to me. I simply couldn’t figure out the depth of it. On the way back to the dock, I’ve got so sick. I vomited into a cup but it wasn’t enough. 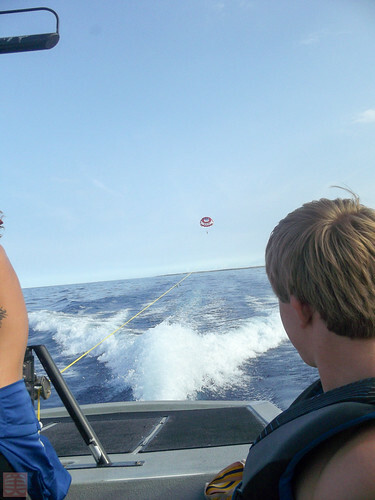 So I dumped my puke out to the side of the boat several times. I was worrying about that my puke did splashed people behind me… On the other hand, almost all of the passengers did like me one way or the other. So I decided not to say anything about it. Besides, I was so sick and didn’t have a strength to do anything. To end this post, let me include a shot done by the cruise company from the night. Hawaii trip 5: how high do I want to go up? How high do you want to go up? 800 or 1200? Don’t know. I never tried it before. Why don’t you try 1200 feet. It’s more fun. Based on Kenny at Snorkeling Bob’s recommendation, we went up 1200 feet. 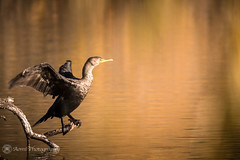 Thanking about birds how they feel when they fly.